The term lateral refers to the relative location of structures in the body. 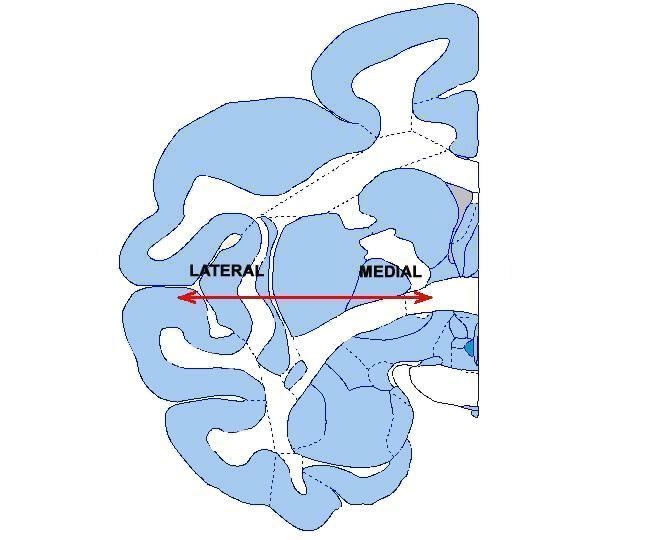 Lateral structures lie away from the midline (NeuroNames). See also dorsal, ventral, caudal, rostral and medial.